All HOLLY HILL homes currently listed for sale in San Antonio as of 04/24/2019 are shown below. You can change the search criteria at any time by pressing the 'Change Search' button below. 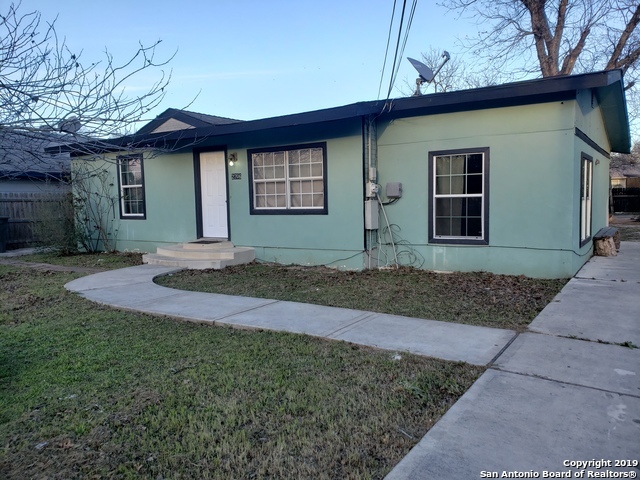 "HUGE CORNER LOT WITH LOTS OF PARKING IN THE BACK AND JUST MINUTES FROM LOOP 410 THIS OPEN SPACE 4 BEDROOM 2 BATH HOME IS WORTH TAKING A LOOK AT. ASK ABOUT HUD'S $100 DOWN PROGRAM"
"Well established neighborhood. Houses rarely come on the market in this area. House has 2 bd and 1 bath. Garage has been converted into a living area with a closet. It could be a third bedroom if a door is installed. Cute kitchen with granite countertops. Spacious laundry room. Great back yard and 100% fenced in. Room measurements are approximate. Thank you for showing ."